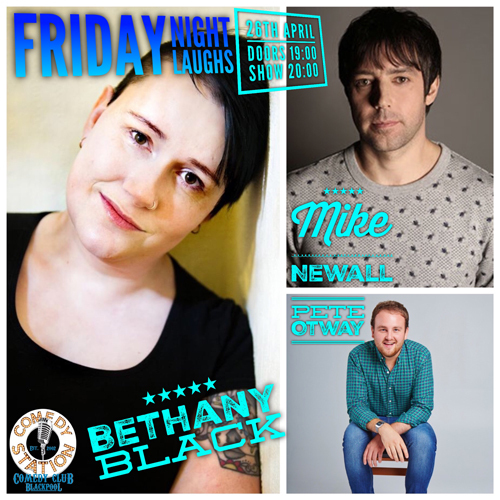 Friday night stand up comedy, in Blackpool’s only purpose built comedy club! 178 available 25% discount for emergency service workers, NHS nurses and members of the Armed Forces. £9.00 25% discount for emergency service workers, NHS nurses and members of the Armed Forces. (Emergency Service/NHS/M.o.D. photo I.D. will need to be presented upon arrival. Maximum one ticket per I.D. This discount cannot be used in conjunction with any other discount, or promotional offer. Discount ticket not transferable.